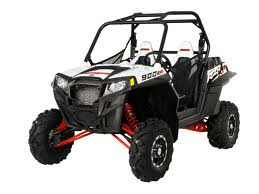 The release of the RZR 800 and the RZR-S 800 has largely been responsible for the explosion of the side by side industry. Pair that with the continued progression of the RZR line into 1000cc and Turbo models and you have one of the most innovative lines of UTVs ever. These tried and true vehicles are essentially the backbone of the off road community. Here at Side By Side Sports we are happy to offer a wide selection of accessories for your vehicle. We offer a large selection of after market products as well as factory OEM parts for your UTV. Whether you are looking for lights, doors, roofs, or tires, we offer many different models from many different manufacturers. Side By Side sports offers accessories for every RZR model including their 4 seat counterparts.